Scruffy-looking and proud of it! Welcome back, Herd faithful! We wrap up our coverage of ‘The Last Jedi’ on this episode in grand fashion: with a podcaster roundtable! The hosts of Less Than 12 Parsecs and The Blockade Runner join us to discuss the more puzzling aspects of the movie. We talk about all the good stuff: Force ghosts, Resistance bombers, Carrie Poppins, scary Force holes, and more! Did we miss anything? Let us know – and check out our friends on their shows: Less Than 12 Parsecs and The Blockade Runner! Get your FREE Audible trial! Star Wars Celebration Chicago Recap! Star Wars Celebration Chicago Preview! Can Episode IX “Save” the Sequel Trilogy? 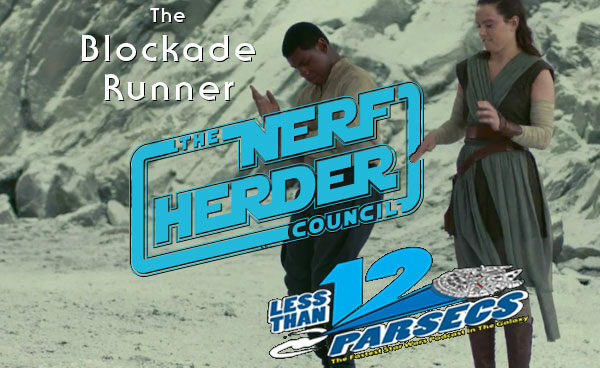 The Nerfherder Council Copyright 2015. All rights reserved.